Colony Collapse Disorder: Still With Us? He's asked this question a lot. "Does colony collapse disorder (CCD) still exist?" Eric Mussen, UC Cooperative Extension specialist in the Department of Entomology and Nematology at UC Davis says "yes." But the winter losses are being attributed to many other causes. "Less than 10 percent of the losses are now attributed to CCD," Mussen points out. 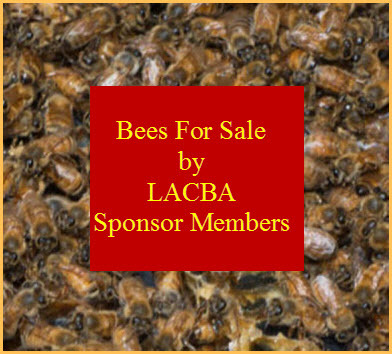 CCD surfaced in the fall of 2006 when beekeepers starting seeing their colonies decimated. They'd open the hive, only to find the queen, the brood and the food stores. The adult workers? Gone. "CCD still exists and it appears as though in cases where multiple other stresses combine to severely weaken the bees, then viruses can overwhelm the immune system and the bees fly away and die," Mussen says. "We do not know what causes apparently-sick bees to fly from the hive, and we still have a difficult time describing how all the bees could become affected so swiftly." "As colony losses mounted, the beekeepers had to spend even more time monitoring the conditions of their colonies. They noted things that might be done to prevent some problems that seemed to be starting. So, we are better at preventing the losses, but the percentage for about 25 percent of our beekeepers is still way too high." Mussen says that "the other 75 percent of the beekeepers are doing relatively well (5-15 percent losses), so we have leveled off in national colony numbers. If the 25 percent can better determine what is going wrong, we should see improved data in the future." Scientists attribute CCD to a combination of causes, including pests, pesticides, viruses, diseases, malnutrition, and stress. The No. 1 problem in the hives, they agree, is the varroa mite. 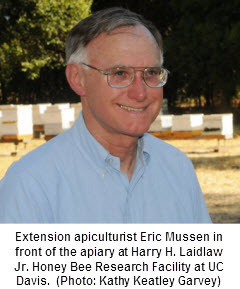 Mussen writes about those topics - and others in his newsletter, from the UC Apiaries and "Bee Briefs." Both are available free on his website. Mussen, who is retiring in June after 38 years of service, was recently named the recipient of the 2013-14 Distinguished Service Award, sponsored by the UC Division of Agriculture and Natural Resources. Mussen devotes his research and extension activities toward the improvement of honey bee health and honey bee colony management practices. 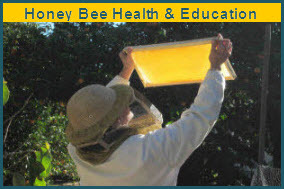 Mussen, who joined the UC Davis department in 1976, is known throughout the state, nation and world as “the honey bee guru” and “the pulse of the bee industry" and as "the go-to person" when consumers, scientists, researchers, students and the news media have questions about honey bees.